The iconic 8-inch Schmidt-Cassegrain has been known for decades as Celestron’s most beloved telescope. 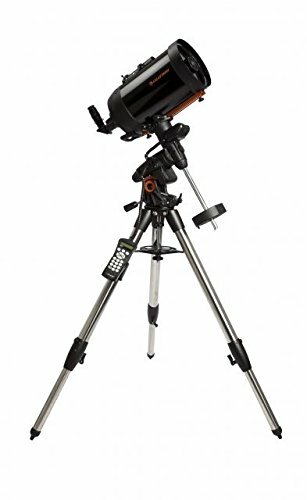 Now beginner to intermediate astroimagers can have their own C-8 at an extremely affordable price. This classic design has been upgraded with our StarBright XLT coatings for maximum light transmission. Combined with our fully featured Advanced VX mount, you have a setup that is ready for both imaging and visual observing. About the Mount The Advanced VX mount was specifically designed to provide optimum imaging performance for smaller telescopes. Now your smaller telescope can take advantage of All-Star Polar Alignment and autoguider support. You’ll be able to track through long exposures using permanently programmable periodic error correction. Image across the meridian without doing a meridian flip, so you can seamlessly image the best part of night sky. Advanced VX features significantly larger base castings than our previous design, improving stability under heavier loads…. Buy Advanced VX 8″ SCT at Discounted Prices ✓ FREE DELIVERY possible on eligible purchases. 84% more light gathering than a 6 inch telescope.